SANTO DOMINGO, Dominican Republic (CNS) — On the little islands that make up the Caribbean's Lesser Antilles, there is not much in the way of protection from the annual wrath of the Atlantic hurricane season. Every year from hurricane season's start on June 1 until the end of peak months — August through October — the islands are like sitting ducks. It's a threat that Marcia Boxhill-Haywood, regional coordinator for Caritas Antilles, confronts with meager tools: a $40,000 emergency fund, a small staff that mans a warehouse in St. Lucia and a handful of volunteers. Catholic dioceses across the Caribbean, Central America and Mexico are on the front line during hurricane season. They shelter residents during storms and serve as first responders after they have passed, handing out food, water and medicine and helping residents rebuild their lives. Yet, preparing for the potential damage to church buildings and the financial strain of feeding mouths and housing displaced residents remains a challenge. With funds in short supply, Catholic leaders said they coordinate more closely with governments and other institutions and rely on volunteers and neighboring dioceses to fill gaps. The Caribbean basin is in the midst of an extended period of increased hurricane activity that began in 1995 and can last for several decades, according to the U.S. National Oceanic and Atmospheric Administration. Through September of this year, the Atlantic had produced 14 named storms, eight of which were hurricanes with only one being a major storm — Category 3 or greater. Yet 68 deaths were attributed to the storms and damages totaled more than $2 billion. Climatologists predict the situation will only worsen. “The majority (of climate models) show an increase in high category hurricanes and a decided increase in hurricane-related rainfall, a source of flooding in … the region,” Kerry A. Emanuel, a professor of atmospheric science at the Massachusetts Institute of Technology, told Catholic News Service in an email. The region woke up to the reality of an increasingly volatile hurricane season in 1998, when Hurricane Mitch lingered over much of Central America for nearly a week, dropping unprecedented amounts of rain that set off major flooding, killing thousands and causing billions in damage. By the time the storm turned back toward the Gulf of Mexico, eventually striking Florida, it had caused nearly 11,000 deaths. Church leaders said the region has made strides since Mitch in preparing for disastrous hurricanes and tropical storms. However, in Central America, where the majority is poor, dioceses often find themselves shorthanded when a disaster strikes. Deep in Nicaragua's Mosquito Coast, Bishop Paul Schmitz Simon of Bluefields worries about the effects of hurricanes every year. Yet, his diocese, roughly 60,000 square kilometers — nearly twice the size of the state of Maryland — has no money set aside for the next storm. Bishop Schmitz's approach underscores the reality in which many dioceses find themselves: Short on cash to devote to hurricane preparedness, they count on other institutions and volunteers. It's a system Bishop Schmitz has honed since Hurricane Joan hit the coast as a powerful category 4 storm Oct. 22, 1998. 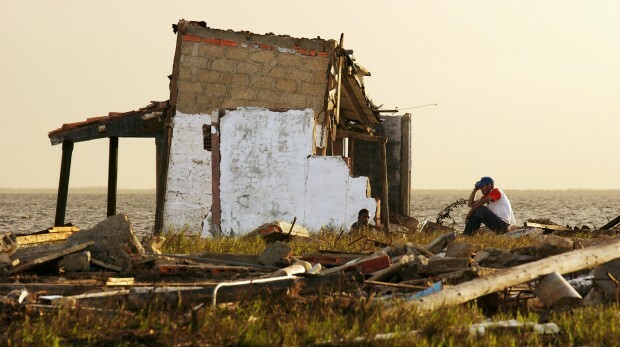 It killed 148 people before leaving the Central American country as a weakened tropical storm. Bishop Schmitz said the region is about 50 percent better prepared today than it was when Hurricane Joan hit. Despite the lessons learned, in 2007 Hurricane Felix destroyed homes and flooded farmland. 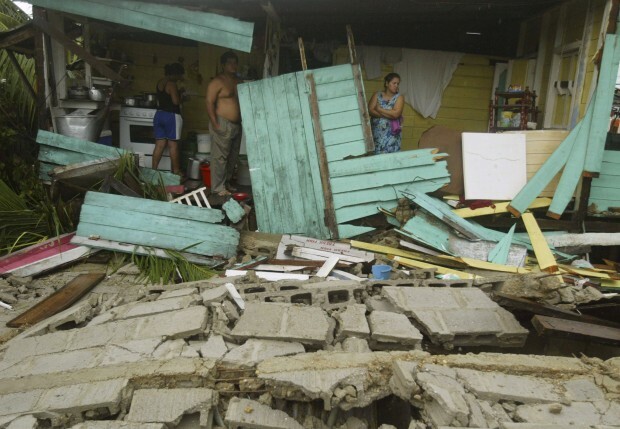 It destroyed most of the rural coastal town of Puerto Cabezas. Constructing buildings to sustain the impact of hurricanes, however, is more costly and time consuming than the methods many have used for years. In Haiti, a program to reconstruct church buildings destroyed by the January 2010 earthquake only recently doled out its first grants. The PROCHE, or Partnership for Church Reconstruction in Haiti, process requires new buildings to meet modern standards, designed to withstand earthquakes and hurricanes. Rebuilding “intelligently and safely” is of the utmost importance, Archbishop Thomas G. Wenski of Miami said June 3 near the conclusion of a conference on rebuilding Haiti. It was a lesson Father Sean Doggett on the small Caribbean island of Grenada learned firsthand. On Sept. 7, 2004, Hurricane Ivan hit the island as a Category 3 storm, damaging 95 percent of buildings in some areas. “In the parish where I am, there was not a house without a roof that needed at least to be repaired. Two of the (four) churches needed to be totally demolished and rebuilt, and a third needed a new roof,” said Father Doggett of the Our Lady Help of Christians Parish in Beaulieu, Grenada. The storm was devastating, but help quickly poured in from the government, international donors and, more immediately, from neighboring islands. Father Doggett said volunteers were key links in properly distributing aid. “I can boast that for the first month or two, the church was much better at distributing (aid) than the government or other groups,” thanks in part to the volunteer network, he said. Today, the parish and island are far better prepared to withstand and respond to a hurricane, Father Doggett said. “There is generally much more awareness of hurricanes and more information on how to prepare,” he said.